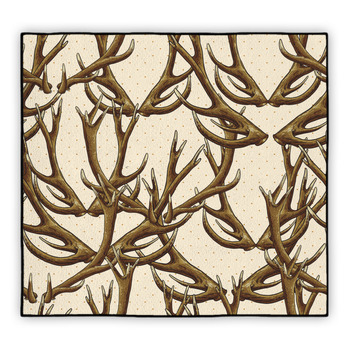 Elks are beautiful creatures that can create beautiful designs that aim to inspire and awe you in a way unlike any other - that's why elks on rugs are definitely a great way to decorate your floors and wall rooms. 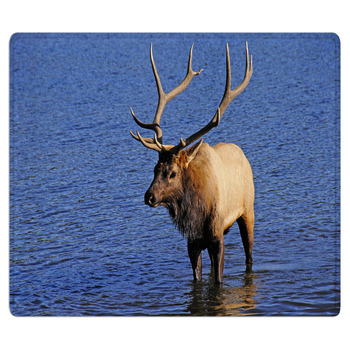 Our designs are either elk frolicking in the fields under the warm, bright sun or looking serious off into the distance. 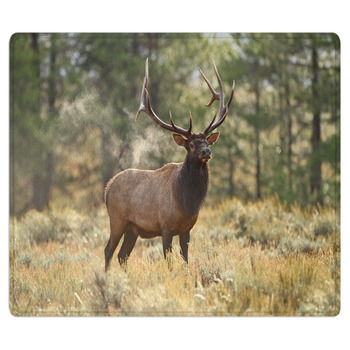 Choose an up-close look for the elk or one with a mountain background that brings you closer to nature and closer to this majestic creature that makes it possible. 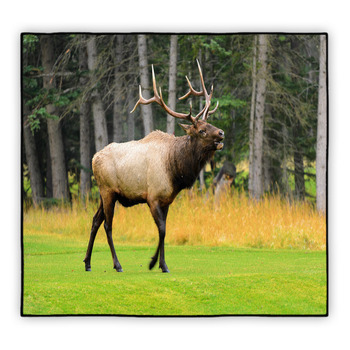 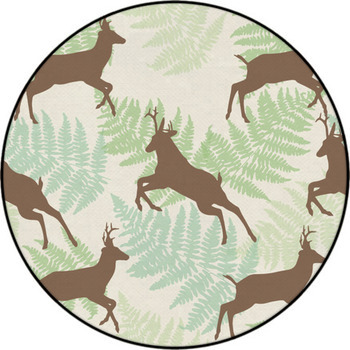 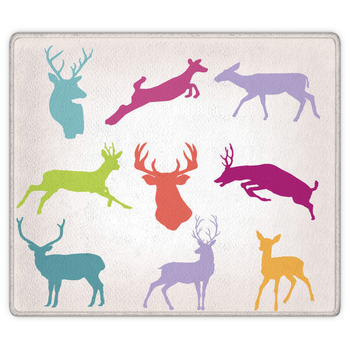 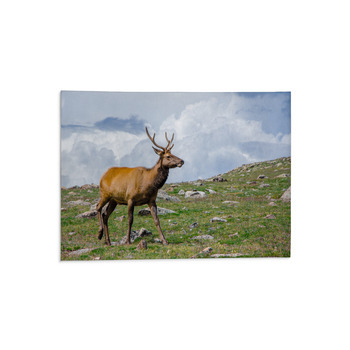 With our colorful designed rugs, you can choose something that stands out but is different from the normal green, brown and blues that you’d find in an elk theme. 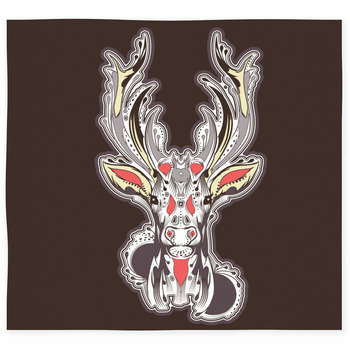 Colorful elk in a cartoon way is available, or if you want something more normal then consider an elk in the moonlit fields, grazing away or staring off into the horizon. 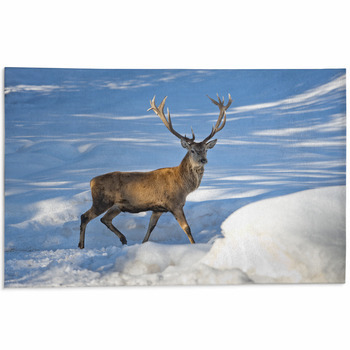 Through these beautiful scenes, you can feel confident about putting the rugs down. 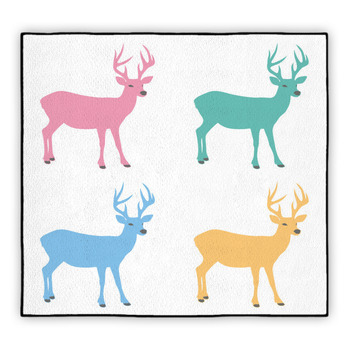 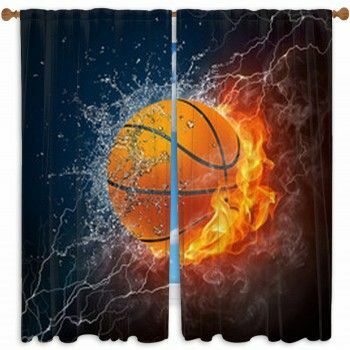 Welcome one, bring one home and make it stand out in any room.